Please note Ardell is currently in the process of reformulating the semi-permanent brow clear adhesive. This kit will be made available again when the newly formulated adhesive is ready. ETA Feb to March 2019. 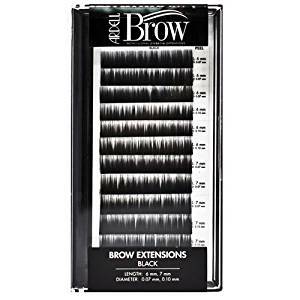 Ardell Professional Brow Design & Extension Kit allows you to customize your client's look with bold, defined brows or a to fill in sparse brows for a more natural look. 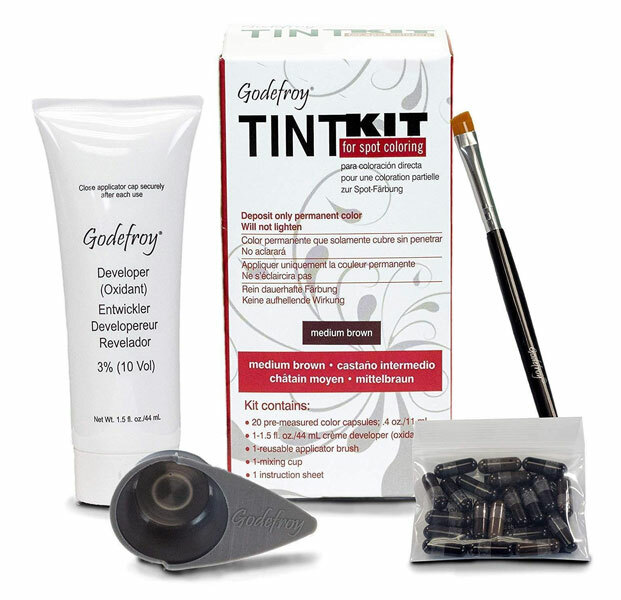 Perfect for professional make-up artists, estheticians and technicians. 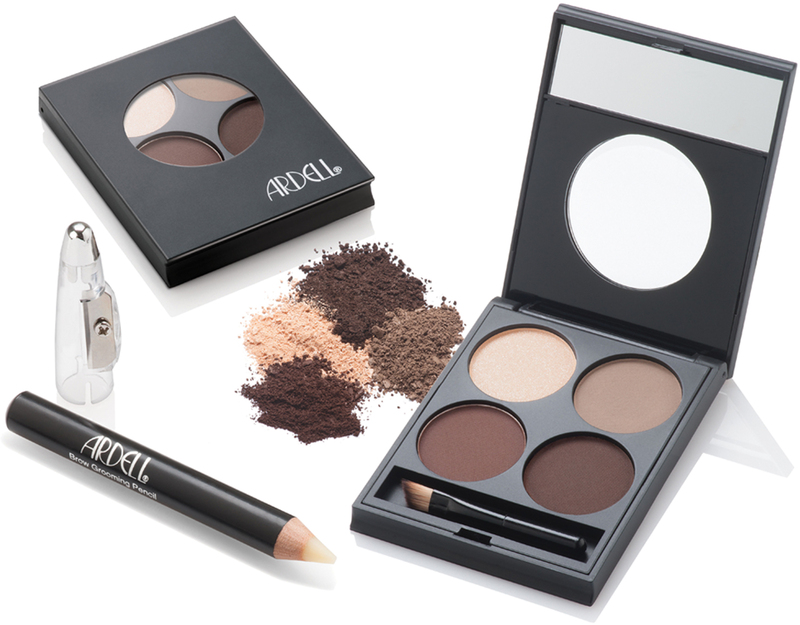 From filling in patchy areas, creating bold drama or defining a natural brow, this pro kit addresses all brow concerns in one single kit. Results last up to 2-3 weeks. From Fashion runways to women everywhere, bold, well defined brows continue to be one of the hottest trends in beauty. Brows help frame the face and highlight in the eyes... setting a foundation for a youthful, fresh look. Ardell makes a bold statement with the launch of the ultimate professional brow program, addressing all brow concerns in one single kit. 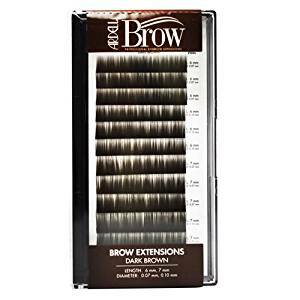 Professional brow artists can customized mixture is applied using feather-like strokes to fill in gaps or create a bold brow, then brow extensions are applied to sparse areas to create a natural look. 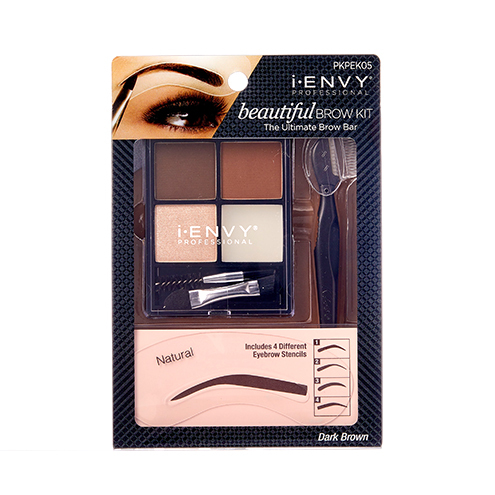 This step prepares the brows for application giving the brow artist a clean canvas. Cleanse the brows by removing all dirt, oil and make-up.Gently exfoliate the brow area, removing excess dead skin cells. Create bold brows, build shape or fill in sparse areas. 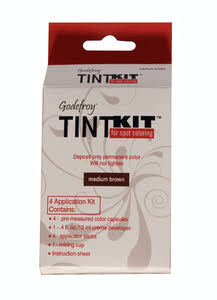 Combine black & clear adhesives with flexible bond and textured powder for a client specific color customized blend. Apply to brows using design tools in feather-like strokes. 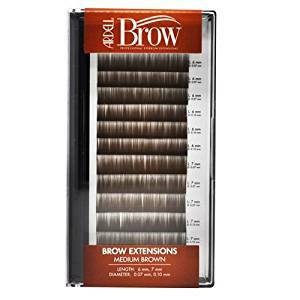 Add dimension or create a natural look with brow extensions. Apply extensions directly to existing natural hair or to feathering strokes. The Ardell Eyebrow Service varies from 10-60 minute service depending on the clients brow needs. This is a great add on service, or service on its own to add to your exisiting menu and offer to your clientele! 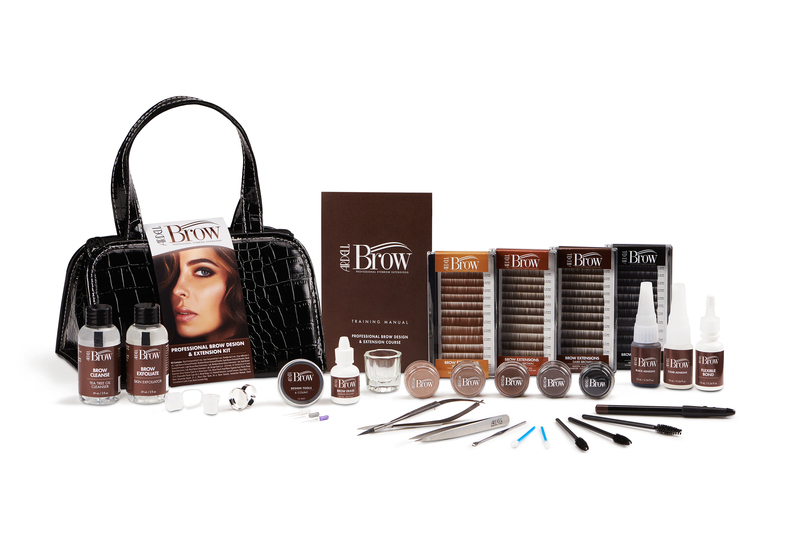 What Clientele do you have that does not want perfect brows that last from 7- 14 days. Once your clients have a wonderful experience and see the lasting, luxurious results, they will be a repeat customer who comes back for more. Build your client base, maintain loyal customer and increase retail spending. A wonderful repeat Business. 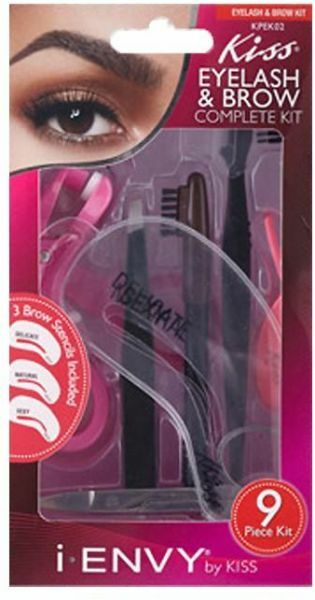 Product cost from $3 to $6 depending on the clients requirements and either Eye Brow Feathering application and or Eye Brow Feathering with extensions. The techniques are easy (with practice), long-lasting and designed for immediate income! Ardell for over 45 years the maker of the world's best-selling lashes wants you to succeed and we are here to help you achieve your goals and beyond. 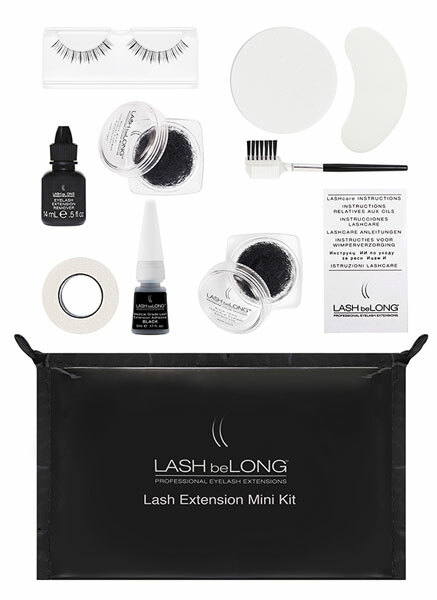 Purchase of this kit from Madame Madeline is limit to brow technicians / professionals certified in Ardell 3d Eye Brow Design & Extension Certification Course only. This kit is not meant for home consumer use.